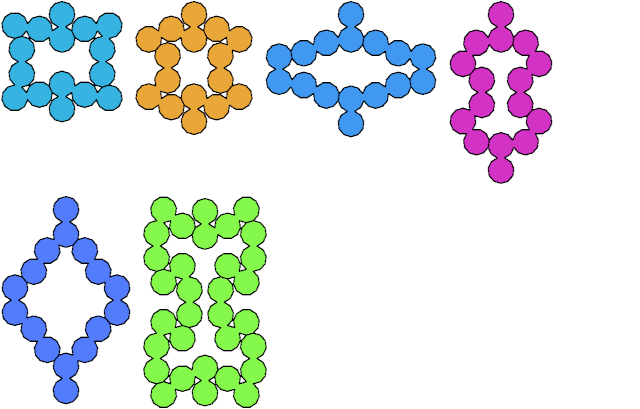 A hendecagon is a polygon with 11 sides. 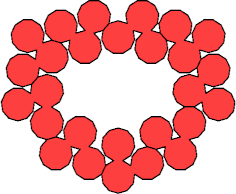 A polyhendec is a figure made of regular hendecagons joined edge to edge. A Galvagni figure is a figure that can be tiled by a polyform in more than one way—a kind of self-compatibility figure. Galvagni figures first appeared in Erich Friedman's Math Magic for November 2004. 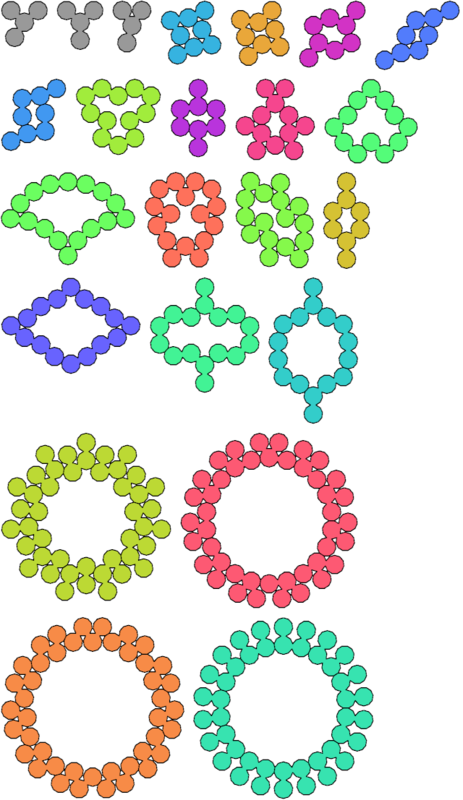 Here are minimal known Galvagni figures for polyhendecs. The black tiles have no Galvagni figures. The gray tiles have no known Galvagni figures.